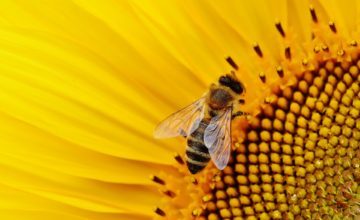 Why Should Protecting Bees be a Top Conservation Priority? Christy Erickson, guest blogger, is the creator of SavingOurBees.org. You’ve probably heard that bees are among the most important creatures and that their extinction would be catastrophic to the global economy, ecology, and food production. Why, exactly, is this the case, and what can you do to help protect these vital workers? What do bees actually do besides make honey? If bees were only responsible for honey production they would be among the coolest critters on the planet. But making this delicious substance is only a fraction of what makes bees so important to humanity. Bees are not the only pollinator, but they are the most consequential. It’s estimated that around a third of the food you eat, at least in some part, relies on bees. This includes not only the fruits and vegetables directly pollinated by bees, but the livestock and dairy sectors that rely on certain bee-pollinated plants for feed, like alfalfa and clover. It’s not just environmental. All of that pollination has a price, and the global economy owes a pretty hefty chunk to the bees. “Bees are responsible for pollinating $15 billion worth of just US crops and 200 million pounds of UK crops. This makes their contribution to the agricultural economy, and thus the global economy, pretty significant. 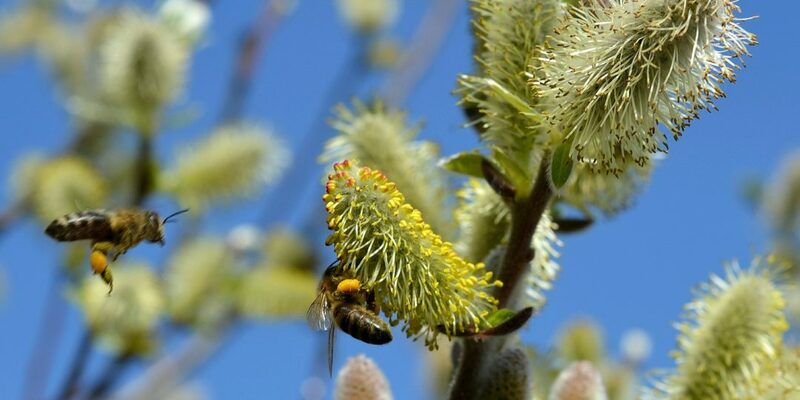 In fact, one study claims the global economic loss if bees disappeared would be $5.7 billion annually,” notes Greenpeace. The bees aren’t totally disappearing, but they are in danger due to a combination of habitat loss, widespread pesticide use, and climate change. For more on exactly why we need bees and why they are in danger, check out this primer from the Natural Resources Defense Council. One of the best ways to help: making your yard bee-friendly. So, what exactly does a bee-friendly garden look like? For the beginning gardener, check out this helpful resource. You need to get the gardening basics down before you can consider tailoring your garden toward being a haven for bees. You’ll want to start with organic in mind, however. Pesticides, fungicides, and herbicides are an enemy to bee colonies, and by using them in your home garden you risk disrupting local beehives. There are plenty of natural remedies for garden pests, from natural sprays to certain plants that repel certain insects naturally. Check out this article for some great tips and tricks. Next you’ll need to know which plants are the best for bees. Remember: not all plants are created equal in the minds of bees. First, try to go heavy on single flowers, as opposed to double petal varieties. “Most double flowers are of little use, as they’re too elaborate. Some are bred without male and female parts, while others have so many petals that bees can’t get to the nectar and pollen,” says GardenersWorld.com. Tubular flowers, like snapdragons and honeysuckle, are also great in the eyes of bees. Try to go heavy on purple, blue, white, and yellow flowers as well, which will attract bees more than red and orange flowers. Bees also love wildflowers that are native to their specific location, so try to source and plant local. Apart from planting a great bee garden you can shop local when it comes to honey, produce, and meat & dairy. You can look up local beekeepers in your area and see if you can sponsor a beehive. You can write to or call your local politicians and see what they are doing to fight Colony Collapse Disorder and pesticide use. Saving the bees starts at home, but it is a truly global task. Save the Bees: What Can be Done?